Group interview is one of the interviewing techniques for the recruitment program. Its efficiency depends and varies according to the requirement. However, there are several ways to conduct group interviews and recruit employees. Let us have a peek at that. Employers conduct group interviews in various ways, according to the requirement of the company. In a panel interview, a panel of people from the company asks a set of questions to the group of panel seekers. The group of people in the panel are from different field or background depending upon the job description for which the interview is conducted. People from HR department, company executives and the employees may also be present in the panel, so that they get to know the employee on a personal level before joining the firm. The objective of panel interviews is to check the capability of the employee to impress more than one person at a time. Further, it is an opportunity for possible employees to make an imprint on them. Project interviews comparatively provide more chances of grabbing the job. In this type of interview, the group of job seekers are given an assignment or a project. The objective of this assignment is to look out for skills like teamwork, leadership skills, effective communication, interpersonal relationships, project management, etc. This form of interviews, unlike the traditional one on one interview, helps the interviewer to judge the skills of the possible employees. However, these types of interviews are hard to prepare unless the interviewers inform the candidate beforehand. Here the best way to take the situation in control is by showing the leadership quality in you and maintaining the peace within the group with equal chances to all. Group interviews consist of various tasks and discussions and thus they deserve more time. However, compared to the individual interview it takes less time. Group interviews last around 45 – 60 minutes roughly. Although the interviews end in an hour, they consume a lot of time in preparing and organizing. Duration of individual interview varies according to the capability of the candidate. If the duration is within the first 30 minutes then it means that the interviewee was not efficient enough to stick for longer. These people have very fewer chances of being selected for the job. The longer is the duration, the more is the chance of making a better impression. The ones who engage in such impressive conversation are the ones preferred for the selection. When it comes to group interviews, it is important to make an impression on the interviewers to qualify for the next round. Here are some insights on how to stand out in a group interview and secure your position with odds in your favour. Many people end up showing their nervousness the second they enter the interviewing room. That is where the problems begin. No matter how nervous you are when you enter, do not show that on your face. Instead, let the confidence in you rule the situation. Your interview begins the second you enter, thus when you enter with confidence, employers immediately notice your posture. Your reaction would decide how you would react in the future to different surprises in the job. Acing a large group interview requires clothing, which helps you to stand out and the interviewees will remember you. Thus, wear something that is distinctive and bright compared to everyone else. Of course, do not go for gaudy combination, as you would not be recognized for a positive reason. For example, you could opt for a bow tie or a scarf. Interviews begin with an introduction. It is important to start with a confident self-introduction to ensure your name for the next round. Moreover, in a fast-moving group interview, it is necessary to give your input. In times like these, many candidates zone out during the introduction as well as the questioning round and are not able to catch the name of anyone. However, to speak purposefully one needs to listen carefully to the discussion of the interviewees and interviewers. In addition, it is also important to use appropriate body language. Also, make sure to not interrupt anyone and wait for the chance to speak. Group interviews are not at all the platform for people who are shy and introvert in nature. If public speaking is not your thing then do not try to speak up constantly. Instead, make sure to answer your views or opinion in a simpler yet effective manner. Although, your shy nature may get you to apologize on interfering, yet make sure that you do not commit so. Moreover, do not let your voice trail away as that might give an opportunity for other contenders to talk over you. In addition, do not rehearse answers, as they will not benefit you. In group interviews, many people are answering the same question and therefore rehearsed answers are of no use. Your answers should be prepared on spot along with the flow of conversation. That will ensure a unique contribution from your side. No matter what the situation is, always be yourself. There are times when, in order to show the leadership skills, candidates try to be a leader in the situation. Although it outlines the desire for the position, but the aggressive behaviour may ruin all the advancement you have made earlier. Secondly, when you are taking up the leadership responsibility of the group then make sure to let everyone speak or else the entire plan might backfire on you. A positive approach always receives positive comeback, so give chance to everyone and you would get cooperation from the candidates in return. Further, try to ensure that you do not give in to the urge to fake a better performance as it is not who you are! The group interview is nothing but the first step towards the solo interview. In that journey, all the other candidates are your competition. However, if you show a polite and positive gesture they would unconsciously help you in securing your position. While the activity goes on, having the ability to call someone by his or her name highlights your personality at a whole. Thus, the best way to make an impression on the interviewers is by using your leadership skills. Further, make sure that you do not repeat the answers given by the other candidates, as it may seem offensive. Moreover, do not forget that group interview’s objective is to test the capability of the candidate in handling teamwork and thus maintain your calm! Candidates who come early at the venue maintain their distance from others. They try to ignore the presence of each other. Instead of fidgeting on the phone rather opt for making a conversation. Lighten up the mood and get friendly with others. This will not only come handy in the interview but also boosts your confidence. Further, it also lessens the nervousness. Secondly, networking is always considered as a bonus for employers. The best way to start an interview is by volunteering to be the first. Even if the interviewer does not select you, yet you would manage to stand out for making the initiative. However, if you are an introvert person make sure to be composed. Answer once but in such a manner that it is memorable and instantly reminds the interviewer of you. Giving meaningful inputs always assure positive feedback. Similarly, during an interview, you can give input in the form of review regarding company related topics like company policies and customer services; it will give you better feedback from the interviewer. Dropping bits and pieces of information about job-related topics may highlight you. Several interviewees feel that they did not create that big of an impression on the employers. When you feel so then make sure to go for a thank you talk at the end. This will ensure you a positive reply moreover; it will also make you look polite and decent. If at all, the queue for thanking is too long why not ensure your uniqueness by making a joke or memorable statement. You can even take a step further by sending a thank you note after reaching back home. Group interviews can certainly be helpful when it comes to pressure handling. For people of shy and introvert nature, the situation of individual interview creates anxiety. Thus, group discussion boosts the confidence level of the candidate and makes him or her feel less anxious. Thinking on the spot on various topics or subjects is not an easy task. In the group interview, you get various inputs from different job seekers. These inputs are a result of their own views. However, these views can further be elaborated or can be taken as a base for your answer. This way you could play cool during the interview and discard the stress. Group interviews include several equally qualified candidates. These candidates respond to different questions and tasks in their own manner. It helps in evaluating oneself as to where he or she stands. Further, it also helps in improving the drawbacks. Thus, he or she can strive for better. Time is money, and so people look forward to save time as much as possible. Group interviews enable employers to eliminate the unfit lot of people and keep potential job seekers. This not just save time but also helps in comparing the capability and the ability of potential employees. Motivation works wonders for everyone. 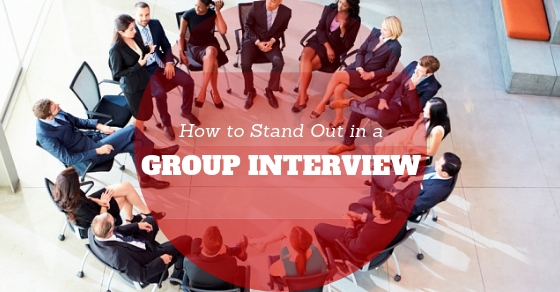 Similarly, the group interview method encourages job seekers to speak their views in public. This method, unlike the one on one, helps in keeping down the nervousness. Moreover, employees are able to express their true self. Nothing in this world exists without a pro and con angle. Similarly, group interviews have their own limitation. Peer pressure is one of the factors that are responsible for taking away good opportunities. People who have a shy and a non-dominating nature may easily be commanded and pressurized by other people. in a group interview, where the number of candidates are more it is possible to be pressurized. For some employees, this method is beneficial whereas for some it is a place where other candidates, to form their own version of answers steals their unique ideas. The backbone of the corporate world is broken due to this one single word. Favouritism not only paves way for unjust employment but also throw away the odds of the deserving candidate into thin air. Group interviews can easily highlight the brightest gem. However, it fells short when an equally deserving candidate is shy and silent. in group interviews, some candidates may overpower the shy ones and as a result, you may lose a good candidate. Group interviews have many candidates and thus it requires comparatively more staff to analyze and prepare for the interview. Further, more recruiting staff can complicate the process of recruiting due to various opinions. To conduct a perfect group interview, it takes a lot of time to set out the objectives. Further, planning of how to test the skills of the candidates based on the required objective is important. However, there are ways to lessen the complexity of group interviews. Group interviews require effective participation and rest can be tackled easily. To sum it all up, one could say that be prepared and do not zone out during group interviews. Moreover, do not forget the basics of interviewing! Your appearance, promptness, poise, and a little bit of homework will help you to ensure your imprint over the interviewers. Further, it may also increase the odds of getting the job. Thus, use the group interviewing opportunity to shine out.